Kayaking is great fun but when you start to suffer from a bad back or general “sitting pain”, the fun slowly begins to fade. However, investing into a quality kayak seat will allow you to comfortably enjoy kayaking for long periods of time. 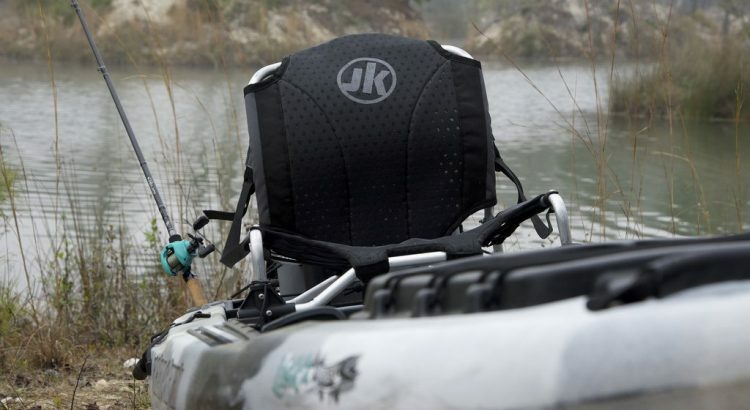 The best kayak seat is the Leader Accessories Deluxe, which includes a molded foam seat with back support for those that suffer with bad backs. When it comes to choosing a kayak seat to improve your comfort, you will want to look for certain features. These come in the form of a molded foam seat cushion, adjustable straps, wide profile and a heavy duty build quality for longevity. Not every kayak seat will be compatible and its important that you take measurement beforehand. These measurements will also indicate whether it will be comfortable or not too as some can be too narrow for your build. Additional features such as storage, adjustable straps, color options and more are all factors you want to consider. You will want to ensure that the seat is as versatile as possible and meet all your requirements when kayaking on the water. Below is a list of the best kayak seats that are suitable for a range of different types of kayaks and provide maximum comfort for long periods of time on the water. This versatile kayak seat from Leader Accessories can be used as both a sit on top and sit in kayak seat. It uses molded foam, which is durable and supportive while still giving you a soft, comfortable feeling while you are out on the water for long periods of time. In terms of setting it up on your kayak, it’s lightweight and easy to attach with two straps in the front and two in the back. Here are some of the notable features of the Leader Accessories deluxe kayak seat. This kayak seat is generally very versatile and will work with many different types of kayak and can be used as either a sit-on or sit-in kayak seat. Although they are lightweight, they are made with high-quality materials and are generally very durable. If you spend a lot of time out on the water in your kayak, the Leader Accessories deluxe kayak seat will help you stay comfortable during your trip. The GTS Sport kayak seat is one of the most well-constructed sit-on-top kayak seats. Although the price tag is higher than many other kayak seats, it’s worth the extra investment, particularly if you kayak frequently and prefer this seat construction. It is durable seat made from lycra foam laminate that uses enhanced molding to manage water flow. The backrests are perfectly molded to provide excellent structural support and are very secure, with straps that adjust at multiple points. Here are some of the notable features of the GTS Sport kayak seat. This high quality kayak seat is an incredible choice for those who want unfailing support and comfort while they are out on the water. The GTS Sport kayak seat really stands out from its competitors because of its ability to conform to your body shape, which makes long trips a breeze. Kayaking can be difficult if you have a bad back and this is where the Skwoosh Expedition kayak seat comes in. This kayak seat is specifically designed to provide extra lumbar support where you need it, with a roll that works with the natural curves of your back to keep you in good alignment. This seat is also incredibly durable, with reinforcements on the seat back and heavy duty fabric to prevent damage. Everything is waterproof and the swivel clips on the seat attachment are corrosion resistant as well. Here are some of the notable features of the Skwoosh Expedition Kayak Seat. The Skwoosh Expedition Kayak Seat will keep you comfortable on even the longest trips. It stands out from other seats in that it is structured to support the natural curves of your lumbar spine instead of forcing your back to be completely straight. The Ocean Kayak Comfort Plus is an affordable kayak seat that’s excellent if you need a little bit of extra support. It is lightweight and very portable with adjustable straps that will work with any kayak. It is made out of nylon, which provides excellent ventilation but is still strong enough to handle a tough day out on the water. Here are some of the notable features of the Ocean Kayak Comfort Plus. This comfortable seat of the Ocean Kayak is something you should always have at the ready for a long kayaking trip. It provides the perfect combination of affordability and comfort, making it a good choice for a new kayaker who doesn’t want to invest too much. The durable nylon ensures that it will last for a long time and keep you comfortable even on rough rides. iGueburn’s padded kayak seat is a comfortable and affordable option for anyone who needs some extra support out on the water. It has adjustable straps for a secure and custom fit, and the seat is padded and contoured to give your muscles the support they need. Here are some of the features of the iGueburn adjustable padded kayak boat seat. The padding on this seat is excellent because it gives you the support you need for your back and pelvis while also preventing any slippage while you are on the water. The materials on the iGueburn kayak seat are very durable and comfortable, and the brand also offers a great warranty and money back guarantee for peace of mind. For kayaking enthusiasts, a good kayak seat is a must. Sitting in your kayak without any extra support for a long period of time can lead to muscle cramps and discomfort. When buying a kayak seat, you want to make sure you find one that’s comfortable and durable enough for a day out on the water. Here’s what you need to look for when shopping for a kayak seat. The kayak seat you choose will depend on whether you want to use it to sit on top of the kayak, or whether you want to place it in the kayak and sit there. This will depend on the structure of your kayak and what it can support, as well as what you like to do when you’re kayaking. If you like to fish or cruise on the water, you might want a seat that’s larger and can provide a comfortable reclining position on top of the boat. If you like a more active style of kayaking, you might want to go for a smaller seat that you can adjust easily as you’re on the move. The higher the back on your kayak seat, the more supportive it is going to feel. A high seat back gives you support not only for your lower back, but also your upper back, shoulders, neck, and head when you need it. In general, you should always measure your kayak and compare it to the measurements of of the kayak seat before making a purchase. This will ensure that your kayak seat fits comfortably. It’s important that your kayak seat is contoured to support your spine and back muscles. Our backs are not meant to be completely straight, and our spines actually curve in certain places. For your kayak seat to be effective, it needs to have contours on both the back and the seat to support the natural curves of your body and prevent aches and pains. Many kayak seats are even made with memory foam to provide extra comfort. Since your kayak seat is obviously going to get wet, it’s important that it has features to keep you dry. Many kayak seats come with a no slip exterior to keep you securely in place in the water. Additionally, many seats also have grooved water channels to keep water flowing out of the seat instead of pooling up. Even if you’re wearing waterproof clothing, these waterproofing features can keep your kayaking experience even more comfortable. Waterproofing features also keep the seat breathable in the hot summer months. Kayak seats come with attachment straps to keep the seat securely in your kayak. The straps need to be adjustable so that you can get the most secure fit possible. Ideally, there should be straps on both the front and back of the seat for total security. The more straps your kayak seat has, the more you will be able to customize the fit of the seat in your kayak. Since every kayak is different, the straps are essential for ensuring that the seat can fit in any boat. Your kayak seat will experience some wear and tear out on the water, so it’s important that it is made with durable materials that are waterproof and can handle friction. Many seats use a nylon fabric on the outside, because they are lightweight but strong enough to resist tears. Look for a kayak seat that has reinforced fabric, which will prevent tears. The inside of the seat should also be made from a supportive foam or gel, and the straps should have durable metal attachments as well. The metal attachments should be rust resistant as well. While not an essential, many kayak seats come with a place to store your belongings while you are out on the water. This is a very convenient extra feature to have, particularly for long trips where you might want to store a map, snacks, and other essentials. Look at the size and placement of the storage options to see how convenient they are, as well as the material the storage bag is made out of. It needs to be waterproof to protect your belongings. If you often kayak in low light, it’s important that your kayak seat has visibility features to keep you safe on the water. Many kayak seats have high visibility logos or are available in bright colors that will keep you safe on the water. Many kayak seats come with a warranty or money back guarantee. This is always a good thing to look for, because it provides you peace of mind when investing in a kayak seat. A warranty is also a good indication that the company really believes in the quality of their products. A great kayak seat will keep you comfy while you’re out on the water. It’s an absolute must-have if you’re passionate about kayaking. You’ll want a kayak seat that’s durable and comfortable, and using our guide can help you find the perfect fit. Kayaking is great fun but sitting down for long periods on an uncomfortable kayak seat is not. Investing into a quality aftermarket kayak seat can make a huge improvement and help support your back and avoid any strain. All of our recommendations cover a range of sit-in and sit-on-top kayak seat options and are suitable for a range of budgets.